Another snap of pink. perfect for Saturday! I hope you are all having an absolutely relaxing weekend. We are putting the finishing touches on our deck, and prepping for a family Birthday dinner. The sun is finally out, and it really does feel like summer here!!! Another outfit brought to you by beautiful Melanie. 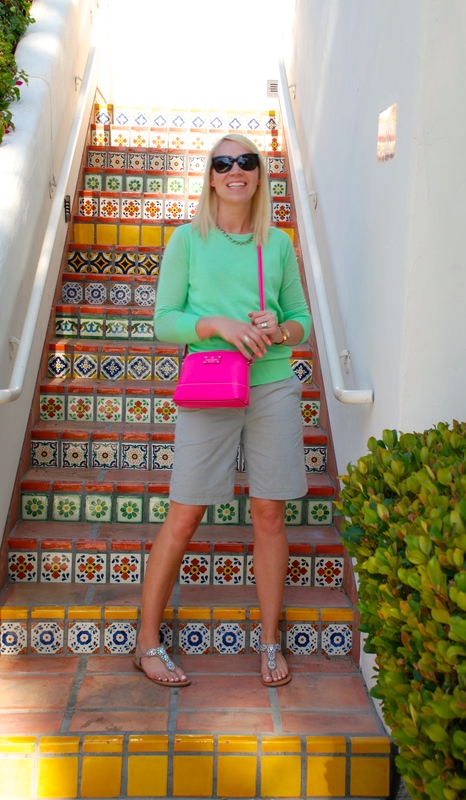 The contrast of these two brights– the pink of the bag, and the green of her sweater– were just right for Palm Springs attire. 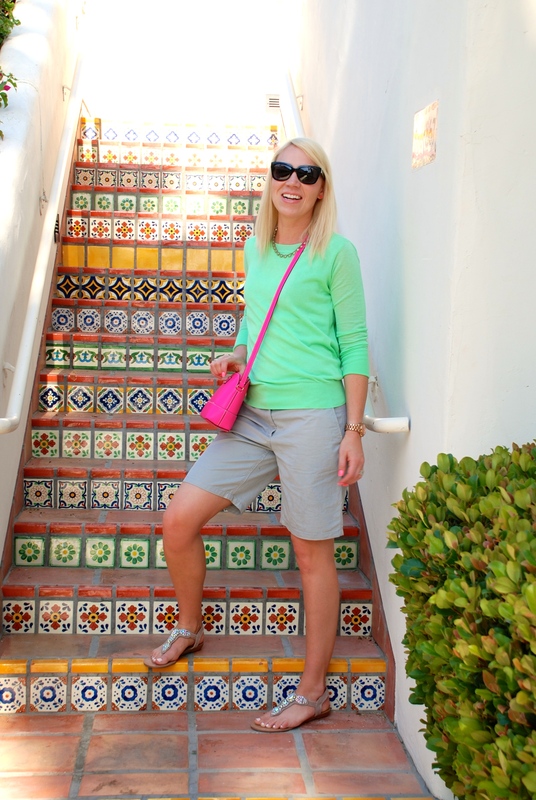 A sweater in Palm Springs? You may ask. But the weather was really quite temperate when we arrived. Only in the high 70s, so you really could get away with wearing a light sweater. Every detail of the La Quinta was gorgeous. Just look at the tile on this stairway! The white-washed walls, blue doors, and gorgeous red tiled roofs of each group of casas was a treat for the eyes. Hope your Saturday is as refreshing as a Palm Springs vacation! !